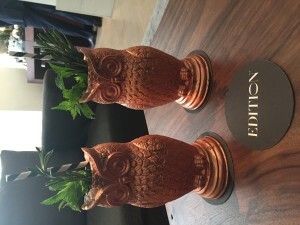 The Drink is always on the hunt for a new place to kick up our feet and imbibe on crafted cocktails that feature quality seasonal ingredients, masterful infusions, and a presentation that intoxicates before we even take our first sip. 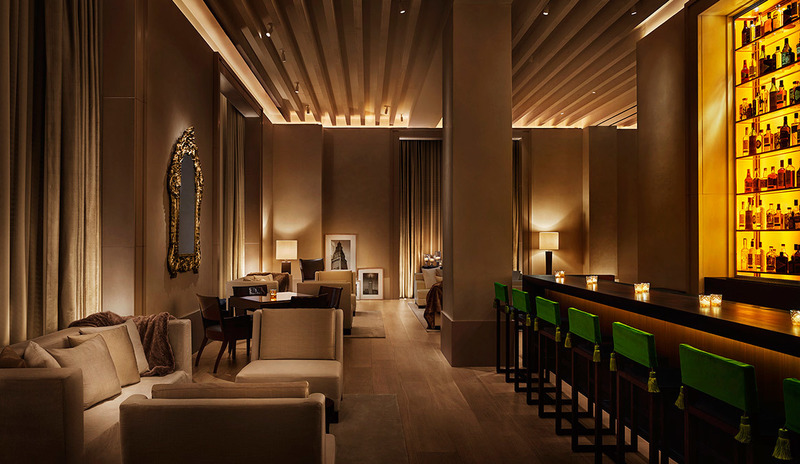 That is exactly what we got when we visited New York Edition Hotel’s Lobby Bar. If you want bespoke beverages, friendly service, and an attention to presentation; all while relaxing in a space that has the elegance of curated décor but the comfortability of being in your own living room, than this is the place for you. Perfect for a first date cocktail or an upscale happy hour; the cocktail menu will give you a variety of options. Bring the Amex, because this place is not your happy hour special, but it is well worth the price. 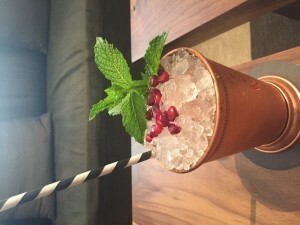 Large drinks, rich ingredients, and a bartender whose hand is perfectly balanced (sometimes less is truly more when searching for balance and harmony in a cocktail), the Lobby Bar is a definite on our list of places we will visit again. While the menu of small bites was somewhat lacking in comparison to the cocktail offerings, the presentation was definitely on par. The menu is another reminder of the casual elegance. With offerings like chicken nuggets, oysters, or a burger, you get light bites where your palate does not have to be Michelin trained to enjoy. However, you will be pleasantly surprised when the dish actually arrives to you. While the options are simple and easy, the presentation is definitely upscale and lush. Our chicken nuggets came covered in a wooden box that made us feel like we were being presented with a keepsake off the family mantel. You know Drink du Nuit always supports a venue that gives us effortless class without the air of pretension and that’s the exact feel at Lobby Bar. Our only complaint during our scope-out was that we wish we would have brought more people so we could partake in the PUNCH’D IN THE PARK (4-6 ppl) or EDITION HIGH TEA (4 ppl) shared drinks. If they were half as potent and large as the drinks we did have, then we would have definitely been in for a relaxing and enjoyable evening. And probably would have been checking in upstairs. 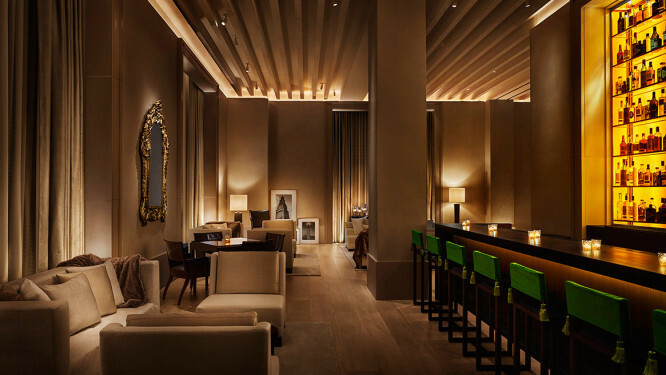 Check them out and let us know what you think about the Lobby Bar at the New York Edition Hotel.